Healthy Food / Groceries Coupon Codes, Promo Codes, Discounts - Save Money! I don’t know about you but I sure do love my coupon codes and I do not purchase anything online without hunting some down first. 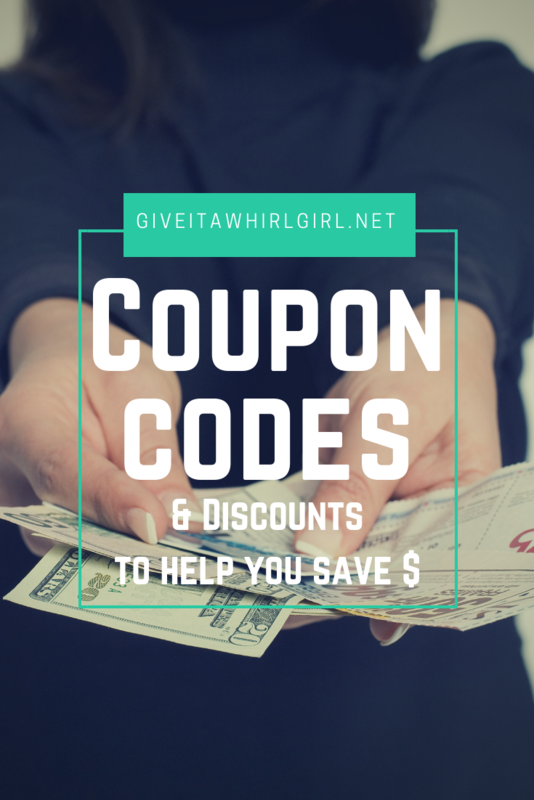 Most of the time you can find these special coupon codes and these savings sure do add up! I do love saving money whenever I can. So I am sharing these ways to save with you today. Primal Kitchen is hands down one of my favorite brands of healthy foods. They are most definitely one of my regular go-to brands. They have a wide variety of items available that can fit into your gluten-free, paleo, keto, or Whole 30 diet and lifestyle. What can you buy at Primal Kitchen for your healthy pantry? Primal Kitchen also has a special promotion taking place right now where you can build-your-own bundle of dressings/marinades and receive a free Thousand Island dressing. CLICK HERE to shop! In the photos below, I am showing off some of my favorite healthy meals that I whipped up using Primal Kitchen products. Sunday Dinner – With Primal Kitchen Strip Steak, Applegate Bacon-Wrapped Rainbow Carrots, And Paleo Butternut Squash Soup – Awesome Sunday dinner feast! MunchPak is a subscription box that specializes in delivering the best of international snacks to your doorstep. MunchPak is the perfect subscription box for the foodie and adventurous eater. With MunchPak you never know what you are going to get. The snacks come from all around the globe. So if you are tired and fed-up with gas station snacks give MunchPak a whirl! You will be happy that you did! I just recently posted a review of the chocolate bars and the energy supplement at Kiss My Keto. If you are following a low-carb or keto diet you can save at Kiss My Keto with my special coupon code! Kiss My Keto’s online store has many products to suit your keto diet and lifestyle. I am really digging the chocolate bars that I recently ordered from them. Guilt-free chocolate?? Sign me up! Next product I will be giving a whirl to is the Keto Coffee and the Keto Snack Bars. Skinny Dipped Almonds make the most perfect snacking solution for the nut-lover in you! They have a variety of different dipped almond flavors: dark chocolate, peanut butter, dark chocolateÂ espresso, dark chocolate raspberry, and more! You can read more about SkinnyÂ Dipped Almond’s products in my review that is on my blog. Treat yourself to a variety pack and save with my coupon code below! Shipt (grocery delivery)Try Shipt Grocery Delivery Free for Two Weeks! Butcher Box coupon Join ButcherBox today and get 2 lbs of Wild Alaskan Salmon free! Home Chef (meal kit subscription box) coupon Enjoy 3 Free Meals with Home Chef! Gobble (meal kit subscription box) Six Meals for $36 at Gobble! Califia Farms coupon Sign up for email and receive 15% off your first order at Califia Farms! Artisinally crafted from nuts, seeds, fruits, and roots. Shop Plant Milks at Califia Farms! Vitacost coupon Get 15% OFF your entire order! Use promo code NY2019. Valid from 1/14/19 at 7 a.m. E.T to 1/16/19 at 9 a.m. E.T. While supplies last. Exclusions may apply. Chef’s Plate (meal kit subscription box) 50%off your first order. Get Chefs Plate today. Sugarfina coupon Receive Free Shipping On Orders $50+! Use code: SWEETSHIP50. Offer Valid 11/27-1/31. Shop Now! PlateJoy Sign up for a 12-Month PlateJoy Membership for only $8 a month! Le Creuset Free shipping on orders of $99 at Le Creuset! Offer Valid 1/1-1/31. Shop Now! UrthBox Snack Box Buy one box and get one FREE! Chef Shamy (gourmet butter) Save 10.0% on select products from Chef Shamy with promo code 10MTWABP19, through 5/4 while supplies last. High Brew Cold Brew Coffee Save 20.0% on select products from High Brew Cold Brew Coffee with promo code 20HIGHBREW4U, through 1/23 while supplies last. SunRype Save 10.0% on select products from SunRype with promo code 10SRBITES, through 1/31 while supplies last. Freedom Foods Save 10.0% on select products from Freedom Foods with promo code 10MMONKEY, through 2/5 while supplies last. Pom Wonderful Save 20.0% on select products from POM Wonderful with promo code 2019POM, through 5/3 while supplies last. Eliot’s Adult Nut Butters Save $1.00 on select products from Eliot’s Adult Nut Butters with promo code 1NUTBUTTER, through 4/30 while supplies last. Smart Pressed Save 10.0% on select products from SMART PRESSED with promo code 10JANSALE, through 1/28 while supplies last. Red Bull energy drink Save 20.0% on select products from Red Bull with promo code 20NINJANYE, through 1/31 while supplies last. Think Eat Live Save 20.0% on select products from Think Eat Live with promo code 20OFFTEL, through 1/19 while supplies last. Beet It Save 30.0% on select products from BEET IT with promo code 30TEAMGB, through 1/12 while supplies last. Orgain Save 20.0% on select products from Orgain with promo code 20OBAR, through 1/31 while supplies last. Chomps Save 20.0% on select products from Chomps with promo code 20SPARTAN, through 2/28 while supplies last. Question time! Did any of these offers catch your eye? Tell me what your savings were after using one of my special coupon codes! I would love to hear your savings! This entry was posted in Health and Wellness, Shopping Guide, Ways To Save Money Grocery Shopping and tagged amazon, coupon, discount, groceries, grocery shopping, health food, healthy eating, healthy food, healthy lifestyle, keto, Kettle & Fire, Kiss My Keto, MunchPak, paleo, primal kitchen, promo code, shopping, shopping guide, whole 30. Bookmark the permalink. That is an amazing list and those almonds look like they are to die for! Thank you for sharing! The almonds are soooooo very addictive. Love them! I think I need to buy the munch pak for myself. It looks like a fun pack to receive. I didn’t even know about the amazon coupons. I’m going to look into that too! Sweet! MunchPak is super fun. Snacks from all over the world and you never know what you will get. Wow! This is such a comprehensive list – I appreciate all of the time and effort you have put in to compiling this blog post, Kimmy. Thanks for all the tips! Thanks so much! I had fun putting this list together. Going to try to make this a regular feature on my blog. They are so helpful, I love Primal Kitchen products, they are a must! Thanks for all these coupons!! Right on! I can’t live without Primal Kitchen in my pantry. I love their dressings & marinades. This is such a great list! I was expecting the typical grocery coupons but you shared coupons for companies I have never heard of before! This list is awesome! Thank you for the coupons. I’ve been wanting to try avocado oil for a while now. I have been using the avocado oil quite often. It is very versatile! I love Primal Kitchen but I never thought about ordering online–what a big savings though!